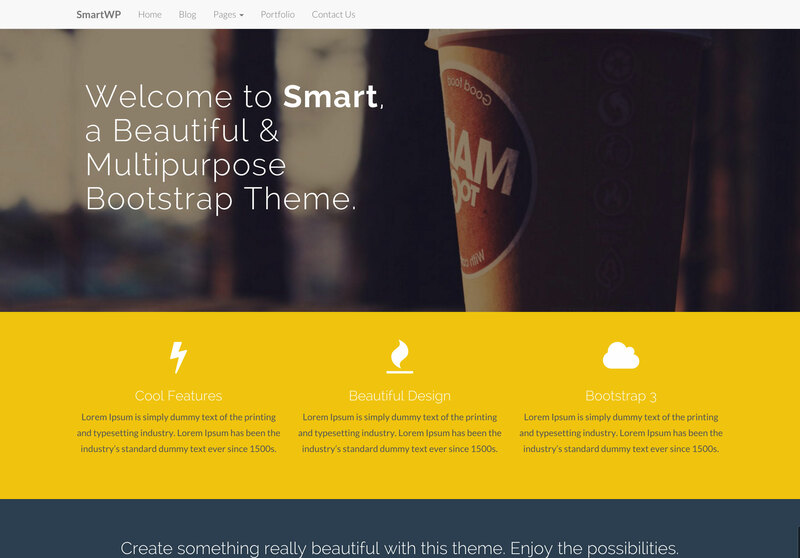 SmartWP is a feature packed Bootstrap WordPress theme. The theme includes multiple custom post types with various WordPress page templates. Be sure to check out the demo to see all of the themes functionality, components, and layouts. SmartWP uses the responsive Bootstrap framework so your website will look good on all devices. Includes custom post types to manage your portfolio, testimonials, services, and client items from the WordPress Dashboard.